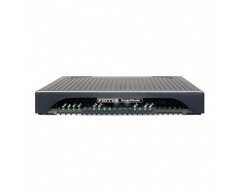 The SmartNode™ 4970 VoIP Gateway offers Enterprises a cost-effective solution to IP-enable their legacy PBX systems. Evolving from Patton’s award winning SmartNode 4940 Series, the next generation SmartNode 4970 Series comes now with IPv6 upgradeable hardware. The SmartNode survivability suite offers PSTN fallback to ensure business continuity in case the IP network fails. Furthermore, SmartNode’s unique high-precision clock delivers first-line IP telephony service in demanding ISDN and DECT environments with reliable FAX and modem performance. In addition, SmartNode delivers a smooth transition to VoIP with strong number portability support accepting incoming calls from the PSTN throughout the VoIP service provider's number porting process.